Wow. Obviously GoDaddy wanted to be known and get their name more out there, but they certainly had the revenue to absorb the sponsorship costs and then some. 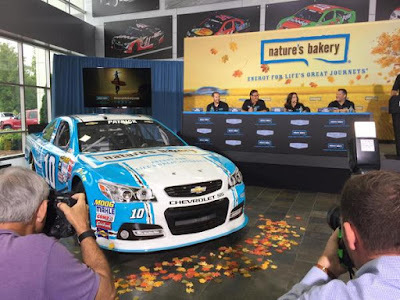 Nature's Bakery is a drastically smaller company, so this sponsorship takes quite a chunk out of their bottom line. This is purely a way for a small company to introduce themselves to a broad audience, so I applaud them for that, although their webmaster and hosting company are probably cursing them right now. I'm not sure their income statement will applaud them though because it not be able to absorb these costs and still maintain a decent bottom line. Only time will tell, I suppose. So there you go...pure clickbait and purely a way to show up in Google search rankings if people are curious about Nature's Bakery. Just showing that I've got no shame and just watch me rake in the advertising revenue now!